Slogans are tricky little buggers. It’s hardly surprising that slogans are tricky to write (and get right) because we expect so much from just a few short words. Slogans may need to sum up a brand, capture the essence of a product, or suggest a transformative experience. So what makes a good tagline in practice? In this post I look at two slogans in action and consider what they do well and how they fail. 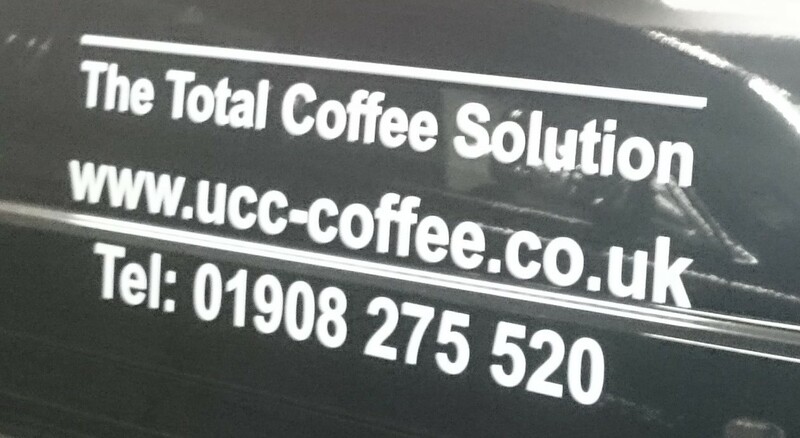 This tagline, spotted on a van, is rather mysterious: “The Total Coffee Solution”. 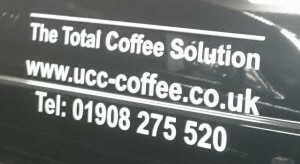 Unless you’re familiar with UCC Coffee, this copy doesn’t tell you exactly what the business offers. And I think that’s a missed opportunity. The tagline could have conveyed some details of the products and services offered – or a sense of the quality of those offerings. The tagline is certainly confident and authoritative, but it seems to assume the reader already knows a lot about UCC. And we have yet another example of the word ‘solution’ used to mean just about everything (but telling us nothing). This may be a deliberate play on words because, of course, coffee is literally a solution. But I doubt it. This company has clearly invested in their branding, but I think they’ve missed an opportunity to communicate something tangible about their business. Sure, we know they do coffee, but what kind of coffee, for what kinds of business? Do they sell beans or machines? Do they sell to cafes or corporations? What’s important to them – and what do their customers love about them? This sign is simple and fairly crude. And it doesn’t even include a traditional slogan – just a bald statement of facts. But it does a good job of conveying a clear message: they offer driving lessons for young people. The sign makes a clear offer to a well-defined audience. If you’re in the market for driving lessons then you know this might be right for you. You can look at this sign and decide if it’s relevant within 3 seconds. The author of this sign didn’t spend hours thinking up something witty or evocative. They just wanted to communicate a message. High-quality branding does not guarantee results, especially if nobody can work out what you do. Your evocative or conceptual tagline might give your CEO chills but does it mean anything to the public? Maybe you don’t care whether your identity makes sense to the uninitiated, but I think you’re wrong. There are occasions when it’s arguably okay to be more conceptual and evocative. If you’re creating a stand for a trade show, or putting ads in specialist publications, it’s reasonable to assume that your audience already knows something about your services. But even then you should err on the side of communication, because not everyone is an expert. Remember the grads, the newbies and the passers-by – people who aren’t yet proficient in your industry jargon but who might be future advocates for your business. You can either sell to a broad audience or you can leave these people behind.